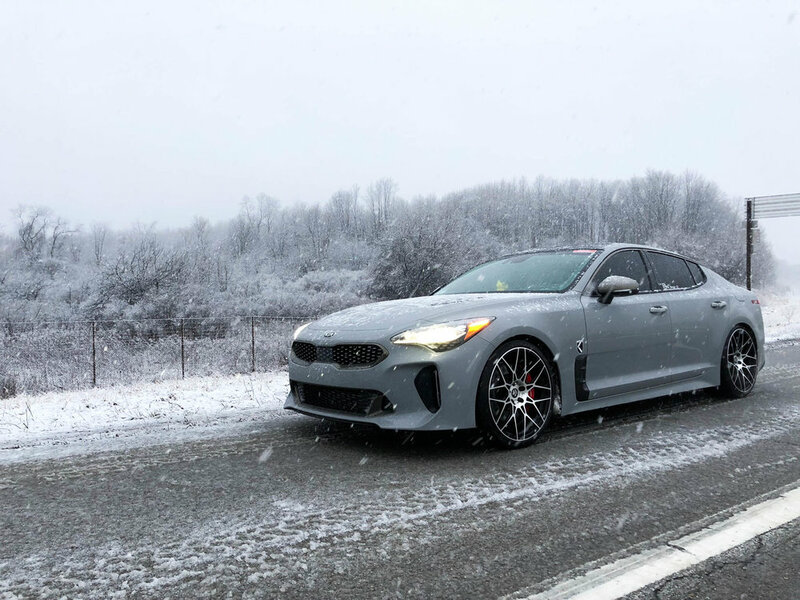 Is the Kia Stinger GT a true Grand Touring performance vehicle? This question has been debated on numerous occasions, with many consumers expressing concern with the idea of a Kia being branded as a GT performance vehicle. However, not everyone was daunted by Kia’s choice of badging. 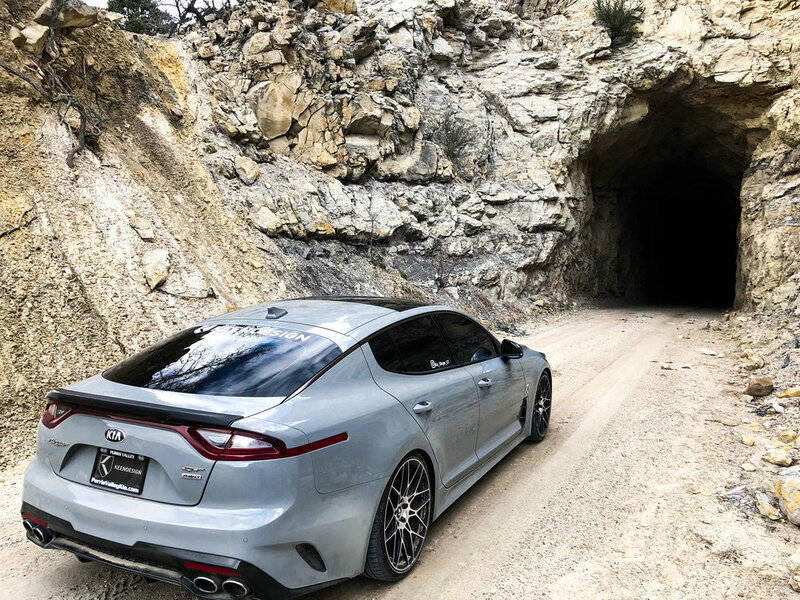 Jose Martinez, the General Sales Manager at Perris Valley Kia in Perris, California, made the decision to put Kia’s namesake GT car to the test late this March. After learning about his road trip, the KEENDESIGN team knew that Mr. Martinez’ expedition would be greatly enhanced through the addition of a new set of KEENDESIGN wheels. Not only would a set of KEENDESIGN wheels make Jose’s trip more fun and engaging, but it would also serve as a splendid opportunity for a Kia Stinger GT owner to give an unbiased opinion of how his new wheels improved his vehicle’s performance over a long, uncompromising, and arduous journey across the country. 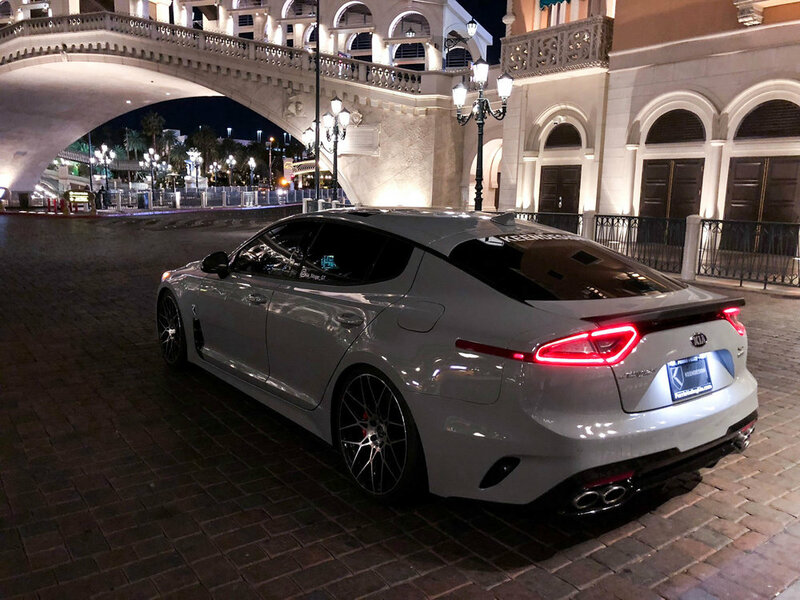 Prior to his departure, Jose’s Ceramic Silver Kia Stinger GT was fitted with four brand new 20” KD07 wheels finished in a resplendent machined black. These KD07 wheels, like all KEENDESIGN products, are specifically engineered for Kia and Hyundai, bearing the same hub-centric design as stock models while simultaneously reducing weight and increasing performance via the utilization of monoblock forged materials. With his wheels mounted and balanced, Jose was prepared for his very own KEENDESIGN grand tour. Jose Martinez began his journey here in Southern California, with New York City as his end destination. 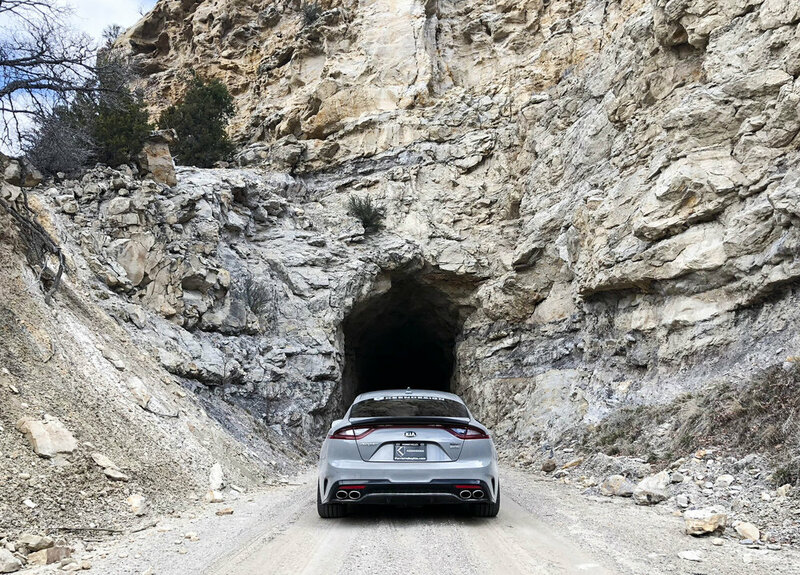 The Kia Stinger GT made the trek through Nevada, Arizona, and Utah quickly, bearing a dusty visage as a trophy of its travel through the desert states. Crossing the snowy border into colorful Colorado, Jose’s KEENDESIGN wheels fared very well over the icy conditions, maintaining a smooth and comfortable ride while also delivering the same performance he was accustomed to in dry weather. With his AWD system engaged and a few pictures taken, Jose trudged further into the snowy depths of the mountainous Colorado wilderness. With the KEENDESIGN emblems on his KD07 wheels nearly iced over and snow still falling, Jose continued onward into Nebraska. 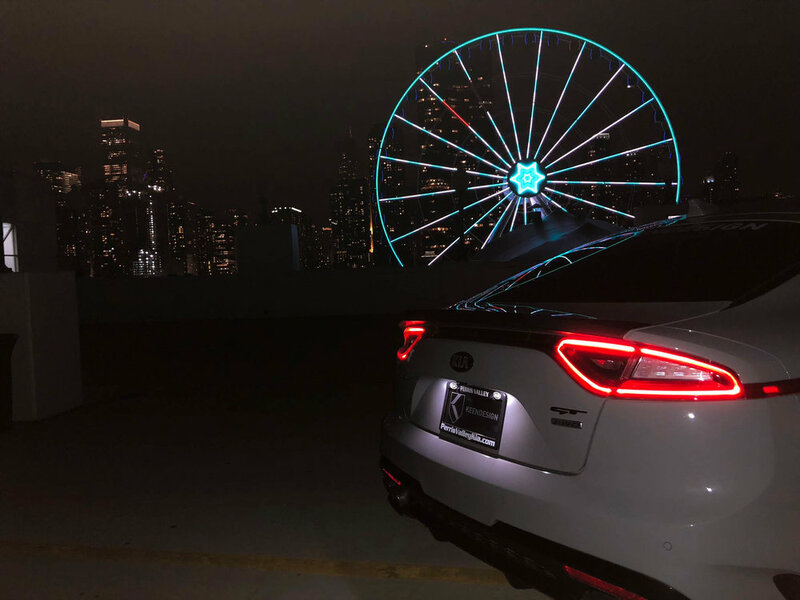 Pushing through terribly unforgiving roads in Iowa, a snowstorm in Pennsylvania, and the bright lights of Chicago's Navy Pier, Jose and his KEENDESIGN equipped Kia Stinger finally reached their initial destination under the dazzling skyscrapers of New York City. Having enjoyed the Kia Stinger’s performance as a KEENDESIGN-enhanced GT car so much, however, Jose decided to extend his journey down through the east coast, this time including Delaware, New Jersey, Maryland, and Virginia. On his way back home, Jose visited Texas and New Mexico, eventually returning back home to sunny California. 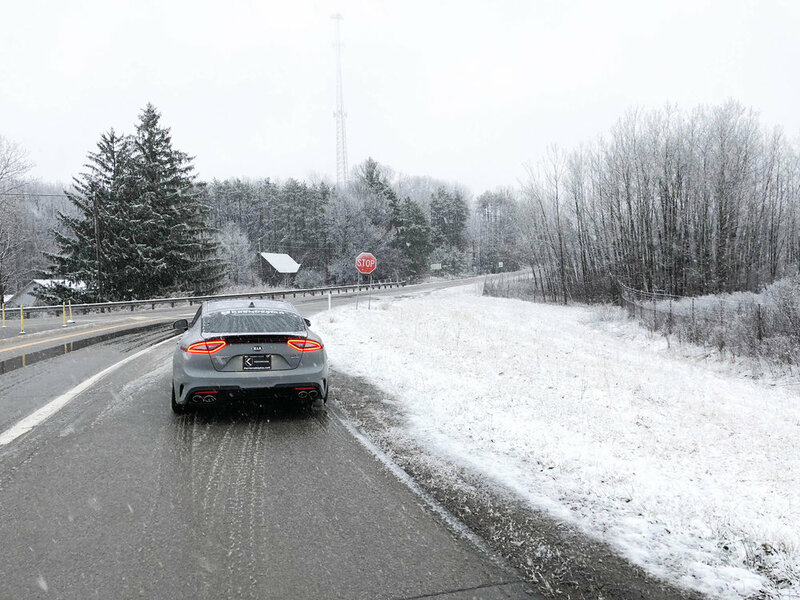 Having survived severe weather, harsh roads, and exorbitant gas prices, Jose Martinez had put his Kia Stinger to the ultimate test. Not only had it earned the GT badge on its trunk, but it had also proven itself as a true, performance sedan on and off-road, in and out of winding roads, and through unrelenting storms. The journey may have been long and hard, but the Kia Stinger GT is not done yet. Equipped with KD07 monoblock wheels forged from high quality and light-weight materials, this Kia Stinger GT is just getting started. If a set of KEENDESIGN wheels made a cross-country trip in a high-performance vehicle fast, fun, and easy, it is no secret that these track-tested wheels can dominate anywhere from the mountain chicanes of Colorado to the tarmac of Auto Club Speedway. Track day anyone?